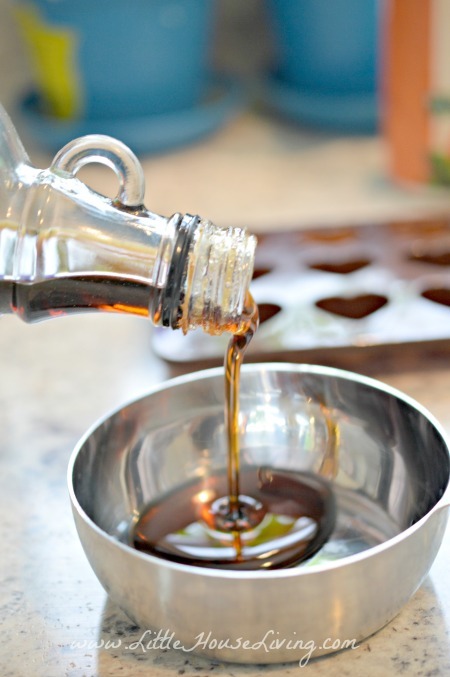 Measure out one cup of your one ingredient….Maple Syrup. Make sure that it’s pure maple syrup or the recipe won’t come out right. 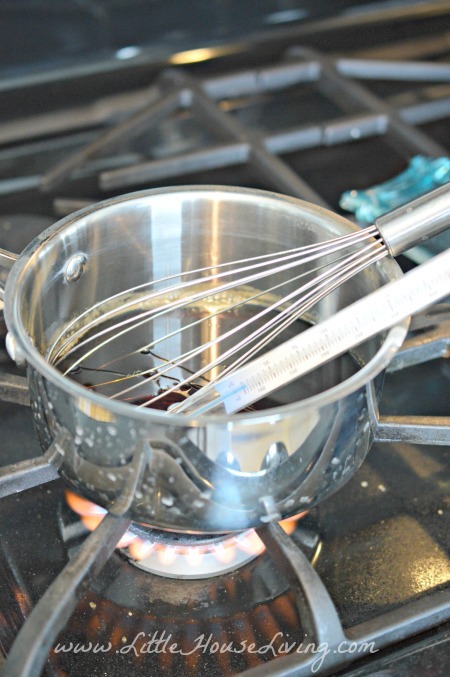 Place the syrup in a saucepan on the stove and turn on the burner. 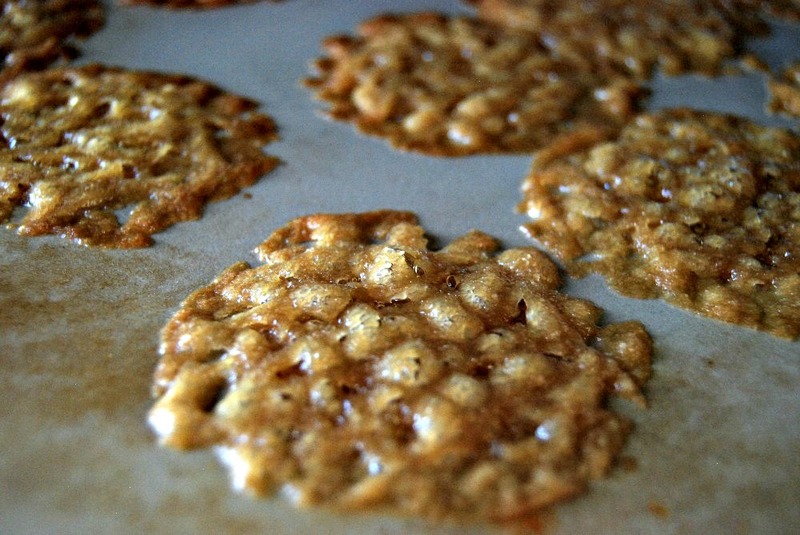 You will need a candy thermometer for this recipe. If you don’t have one you can pick one up for just a few dollars on Amazon. I use mine all the time! 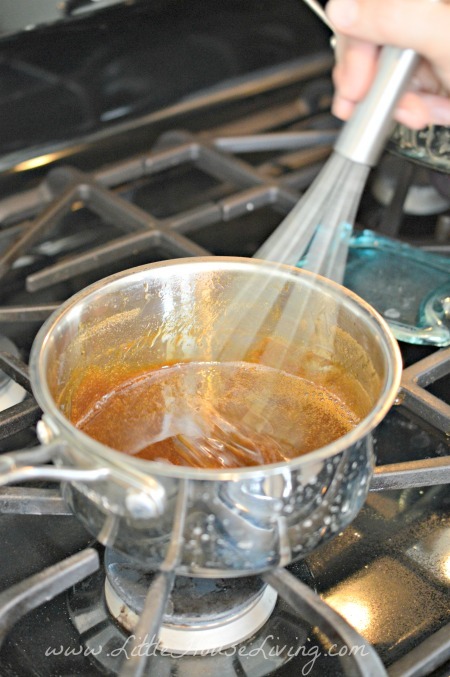 Boil the maple syrup until you bring it to the soil ball stage (238 degrees). Make sure you are stirring as you go! 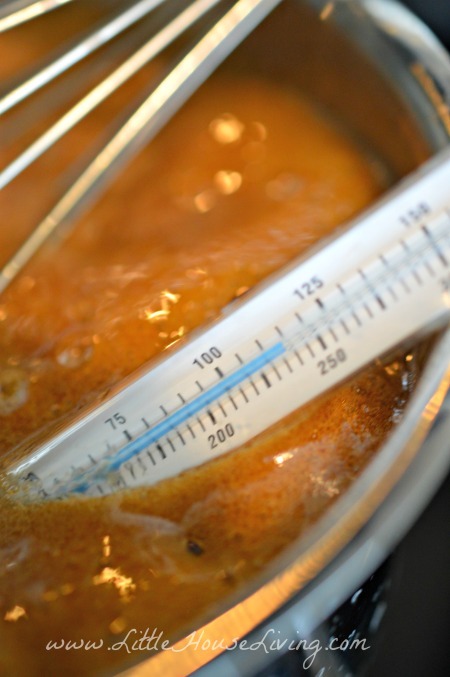 As soon as you reach this stage, remove the syrup from the heat and let it sit until the temp goes back down to 175 degrees. Do not stir during that time. Once the temp has reached 175 degrees it’s time to get stirring! 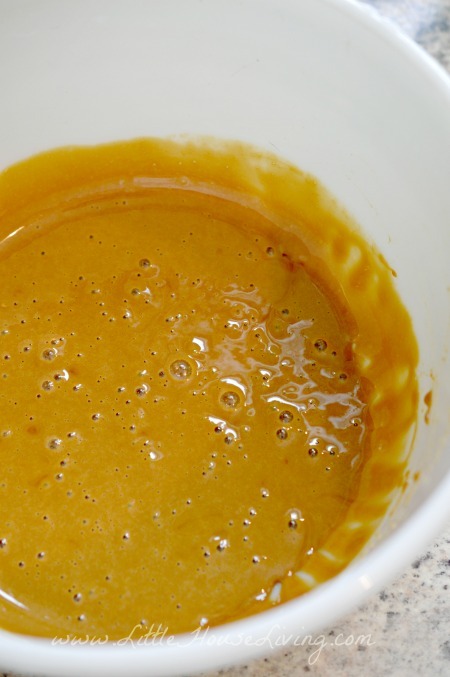 Whip the syrup for about 5 minutes or until it starts to get even thicker and turn a lighter color. If you don’t have the arm strength for this you can pour the syrup in another bowl and use an electric mixer. This is about the color you should see when you have whipped the mixture enough. Your color may be slightly different depending on the grade of your syrup and where it came from. Pour the candy into your mold. I have these heart shaped molds. 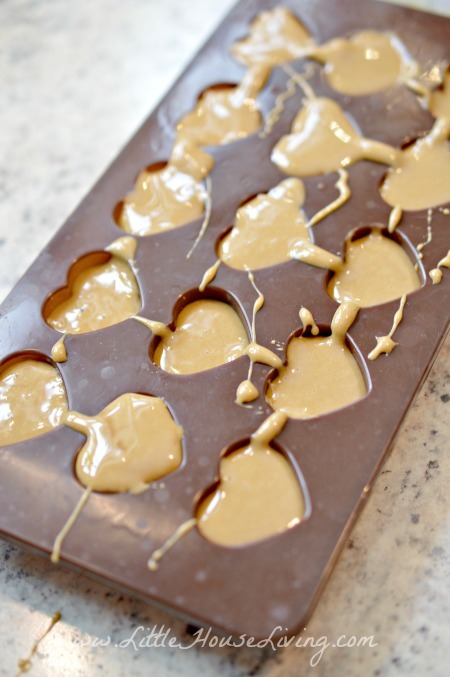 This recipe will fill up one of the molds. If you double it you can fill up both if you have the same molds. We also use these cute molds for homemade gummies! Place the mold with the candies in a cool place for several hours while they set up. After they have fully cooled you can pop them out of the mold and enjoy! They kind of taste like a maple flavored caramel. So yummy! 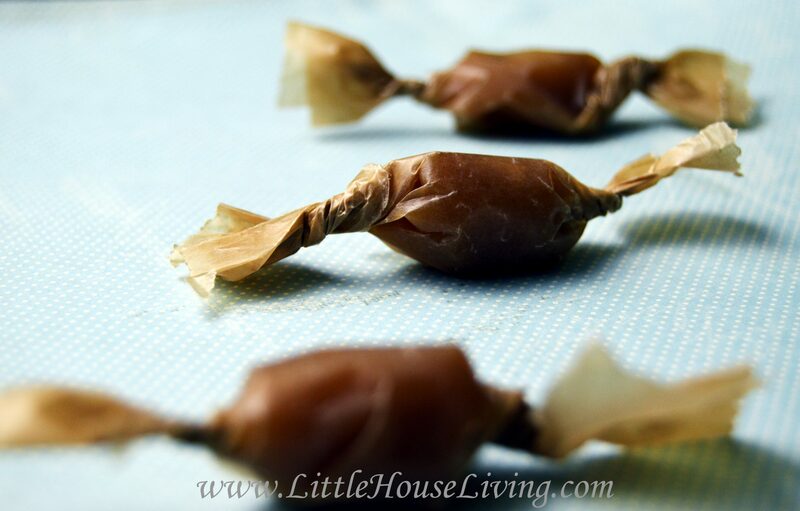 Do you make homemade candy? What do you make? Thank you for this recipe! Looks and sounds delish! 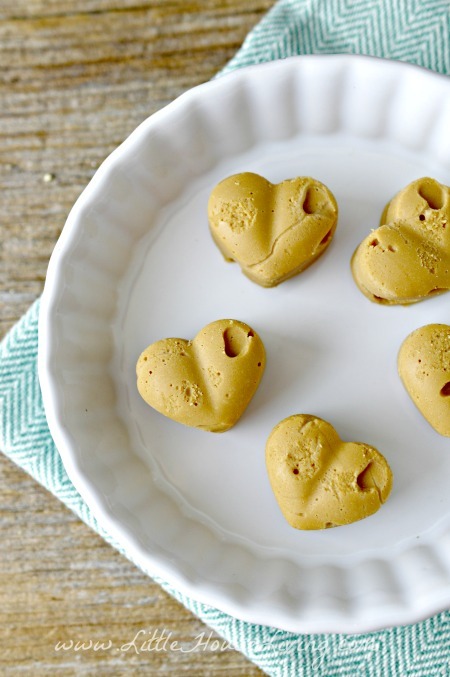 Who knew 1 ingredient could make candy. I grew up making maple syrup..we still do! We still use buckets and spiles,not the tubing as in commercial operations. We generally do about 100 taps. I make this candy alot,as well as a spread. The spread is the same idea..you just don’t cook it as long. You ought to try it. It would be great on your English muffin bread!!! 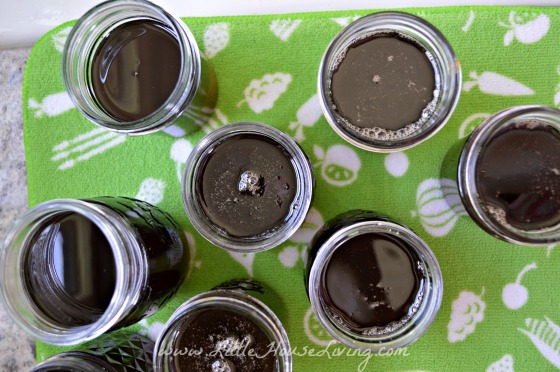 I think sap season will be well into March this year because of the cold winter…time will soon tell! That sounds delicious, I will try it for sure! I am sure these homemady candy are just great! Please tell me – what is the texture of the finished candy? These sound yummy. 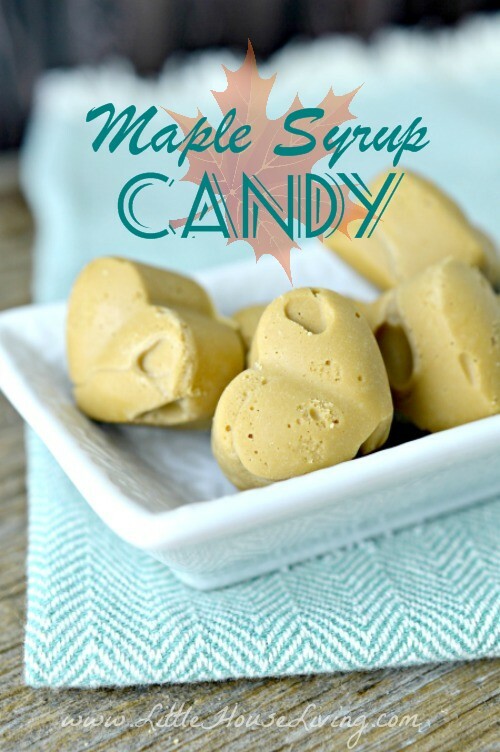 My husband and I love those maple nut candies, so I will have to give these a try. Thanks for sharing your recipe. What if you don’t have molds? My gilfriend and I are looking for something to add to our Christmas chocolate/ candy gifts. This would be a unique addition! How long do they last? Are they dry or sticky? Could they be wrapped in wax paper or foil? Karin, they are fairly dry when stored in the fridge, out of the fridge they might be a bit sticky depending on how warm they got (like any candy). Yes, they could be wrapped. We don’t make very many at a time so I’m not sure how long they would last but I would say that if stored somewhere cool they would have a decent shelf life since they are just maple syrup. They may begin to sweat or crystalize after too long though.